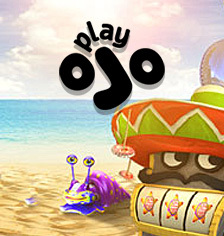 As part of its summer promotion, PlayOJO, one of the online casinos, is offering a promotion to its clients which started on 18th May 2017 and ends on the 29th of May 2017. You have 11 days to participate and find out if you are a winner of one of the many prizes available. For example, playing the Starlight kiss or burning desire slots could win you a trip for two to Paris. Other prizes include fabulous cash prizes and bonuses. Being an online casino, you can enter the promotion and play from any part of the UK. All you need is to wager £17 on either the burning desire or starlight kiss slots. If you want to enter the special draw, you will have to wager £17 on both slots. Take note that you can only enter the special draw once. However, you can wager as many times as you wish for in the main draw, and the competition will not affect your free spins. Keep in mind that the more times you wager, the more tickets you get and the higher your chances of winning. The tickets will only be valid throughout the promotion period. For the special draw, there will be 4 winners. Each will receive a trip for two to Paris with accommodation and food covered. They will also receive return tickets from London to Paris. Additionally, they will get to stay for three nights at a moderate hotel. Lastly, they will be given £500 to spend during their stay. The main draw will have 50 winners. Each of them will be given £50 cash. All the tickets collected during the promotion period will be subject to a random picking ceremony on 30th May 2017. Any ticket picked during the ceremony time will be a winning ticket. For special draw winners, the flights and hotels are subject to availability. The total cost should not exceed £1,500. All winners will be required to confirm they accept their prize and should provide their initial letter of their surname and first name in order to be eligible to receive their reward. Winners of the special draw can change their reward by claiming a cash equivalent not exceeding £1,000.